Singapore Post has announced revenues of S$*368.7m for the second quarter of 2018. This was driven by stronger contributions from international mail and property leading to the 2.2% increase in revenues in comparison to the prior year period. 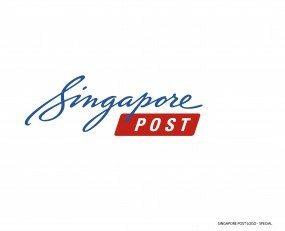 The Post and Parcel segment reported revenues of S$176.7m which represented a 1.6% rise in comparison to the Q2 2017 figure. Higher international mail revenue from cross-border e-commerce deliveries helped offset the impact of lower domestic letter mail volumes. The Group is starting to gain operating synergies from the integration of its last mile delivery capabilities in the post and parcel divisions. As a result operating profit increased by 5.1% to S$42.1m for the reporting period. In the Logistics segment, there was a slight increase of 0.2% in revenues which was driven by the freight forwarding business under Famous Holdings. The figure of S$125.1m was offset by a decline in revenue from Quantum Solutions which lost some customers due to the review of unfavourable customer contracts in an attempt to improve profitability. Pricing pressures, in Singapore Post’s eCommerce segment, as a result of intense competition led to a decline in revenues by 0.5% in Q2 2018. Revenue for the quarter shrank to S$54.2m as the US businesses, in particular, were negatively affected by competition. Increased costs due to the integration of TradeGlobal and Jagged Peak, in combination with investments in automation, resulted in operating losses increasing for the period by 227.0% to -S$11.2m. Operating expenses declined by 0.4% in Q2, as a result of introduction of new cost management initiatives. The combination of increased revenue and a reduction in operating costs resulted in operating profit growing to S$40.0m representing an increase of 33.5% in comparison to the prior year period.